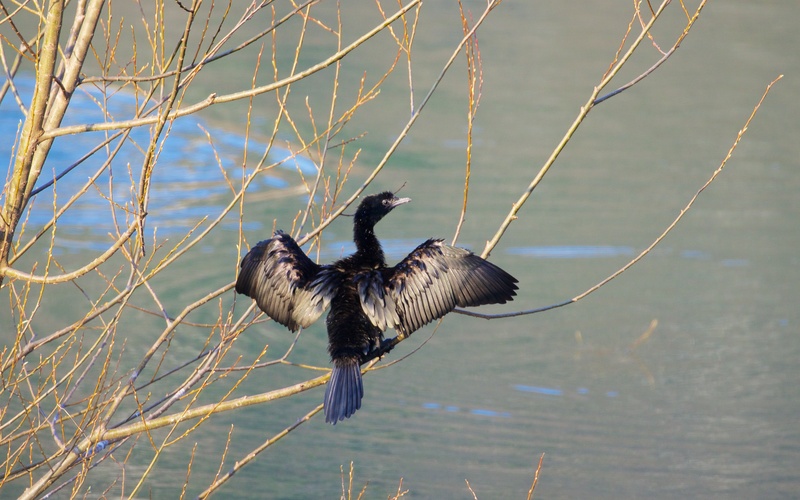 The morning was crisp and clear and this unruffled pygmy cormorant hung out to dry just over the road. Pygmy and great cormorants, the latter far less confiding here, do not have any oils in their feathers to keep the water out like ducks, grebes and coot, so they swim, dive and dry, always in this characteristic pose. It’s an electrifying look. Pygmy cormorant in the morning sun.